Sherwood is a Robin Hood retelling like no other, mostly because Robin of Locksley is dead, leaving Maid Marion behind in Edwinstowe. When Sir Guy of Gisborne reveals his plan to marry Marion and take over Robin’s land, Marion must find a way to help the people of Locksley while avoiding marriage with a man she detests. Sometimes all people need is a little hope, but can Marion play that role without losing her life? This book definitely reads like historical fiction. I don’t know why I didn’t expect that, but somehow I didn’t and was surprised to find that. Meagan Spooner manages to somehow ground this classic tale in a somewhat concrete time and place. It definitely isn’t historically accurate, but how can it be when the story it’s telling was morphed and changed over centuries? Despite the accuracy probably being off, the setting feels strong and well-developed. Meanwhile, Meagan Spooner’s writing is as fantastic as always. This book has a very feminist tone, which I adored, and dealt with a lot of heavier subjects. There’s a lot of emotion in this book that I totally wasn’t prepared for but I’m so grateful. Time for a confession: I’m not a huge fan of Robin Hood. I don’t hate the story or anything, I just don’t know much about it (besides the basics and the Disney movie). However, I never felt like I was missing out by not knowing a lot about it. This book actually inspired me to learn more about the classic tale and I appreciate it even more. Aside from the retelling aspect, the plot is good. There’s a lot of action, which you could expect, but there were also some slow parts. During the 50-200 page mark, there were several points where I definitely felt the pace drag, but the ending made up for it. Trust me, this ending is amazing and I would give the ending alone 5/5 stars. This book has a lot of familiar faces in it. Every major Robin Hood character makes an appearance, if not playing a major role in ways you wouldn’t expect. Marion is a good protagonist, with notable strengths and some interesting faults. I love her journey in this book, especially with her grief and understanding her relationship with Robin. However, Gisborne stole the show for me. He was such a fascinating character! My only wish is that we spend more time with him. The rest of the merry men are also great characters, with great depth and personality. I did have one issue with the romance aspect of the book though– mostly that it felt a little bit like an afterthought. I could believe the love interest’s feelings, and I really loved seeing that grow, but on Marion’s side, it felt forced. I just wish it had been perhaps hinted at a little more earlier in the book, instead of coming from nowhere with only a hundred pages left. That said, I still loved it because I’m trash for enemies-to-lovers. Grief, thought Marian, was not the melancholy mourning of a loss, not the long and dwindling ache that ballads sang of. It was forgetting, and remembering, again and again, an endless series of slashes, each as violent and sharp as the last. 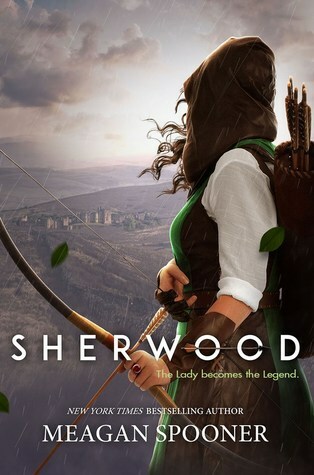 Sherwood is a emotional story of loss and hope, and is absolutely worth the dedication required to read.